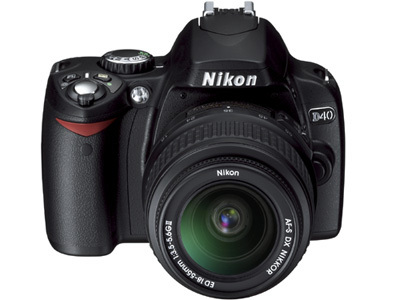 Nikon officially unveiled the D40 today, a new budget DSLR worth your attention. 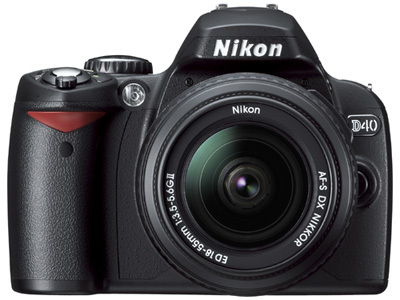 First off, they've stopped upping the megapixel count, and have left it alone with a 6MP CCD, which is fine, because I don't shoot above that anyhow for the web or personal images. 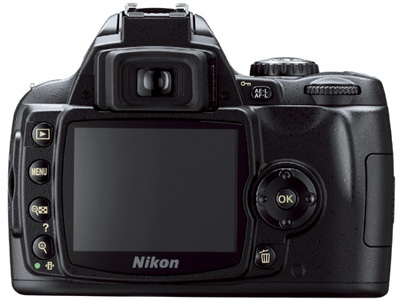 Then it has a 3200 ISO rating making for terrific low light performance. 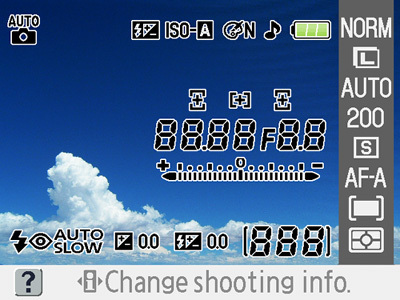 Canon's competing Rebel XTi only goes up to 1600, for example, so the Nikon gets an extra stop. 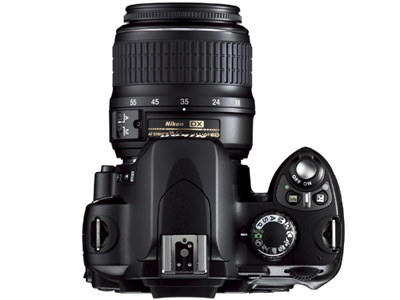 It'll shoot at 2.5 per second, and there's in camera retouching of red eye, shadow and highlight enhancement, and others. It uses SD cards, which is nice, because I've got a whole lot of em lying around. And the body itself is small, yet packs a 2.5-inch LCD. 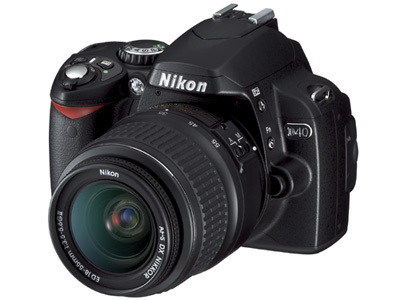 A pretty sweet camera, but clearly in a different price range than the Canon Rebel XTi. We'll see how it does when the full reviews start rolling in. Jump for more shots from all angles, plus a great screen grab of the menus.